Only two crew members rescued from massive cargo ship that sank like a stone. 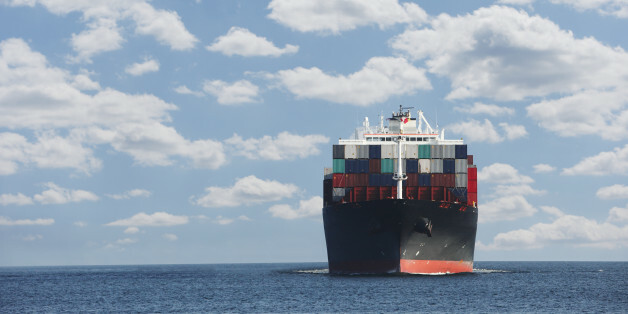 Shipping is the backbone of world trade and offers the infrastructure that has created the modern economy. And tiny Denmark plays its part in this intricate and complicated system of world trade. Back in the days, bike couriers were necessary for shipping priority letters in under an hour. They could weave through traffic in no time. The carried letters that couldn't be faxed, along with blueprints, and notarized documents. According to Dmitriy Shibarshin, marketing head at West Coast Shipping, getting a precious car shipped from another country to your own is nothing less than putting a puzzle together. Escaping mention in the Paris Agreement does not give these industries license to unravel its goals and yet, if left unmitigated, the fast growing emissions from these sectors will triple by 2050. China has been rightly lauded for signing the Paris Agreement at the United Nations on Earth Day, April 22, and pledging to formally ratify the Agreement before the G20 Hangzhou summit in September this year. Imagine you joined the crew of a cargo ship, sailing down the Amazon River from Peru into the Atlantic Ocean. After officials in several countries deny your ship entry suspecting your cargo is illegal, you dock in a Mexican port. It's all about making the Earth's surface more reflective. Another "Star Wars" theory to chew on. As the Paris climate summit enters its final days, the aviation industry is working overtime to get its skyrocketing carbon pollution exempted from the international agreement aimed at averting global warming's worst dangers. Shipping companies are pulling the same trick. Panama's economic prospects are bright. Yet global warming may endanger one of the country's main sources of revenue and growth -- the Panama Canal. It's essential to build resilience around one of the world's most important waterways. The Obama administration's climate legacy is at stake. The U.S. EPA recently acknowledged that airplane emissions endanger our climate. Now, to safeguard our planet, State Department negotiators must get planes and ships back into the Paris climate agreement. Growing up in Philadelphia as a Korean-American, Steve always wanted an international experience. Seeing China become one of the top economies in the world, Steve decided to take a leap of faith and go to China, with a goal of learning more about startups and becoming an entrepreneur.